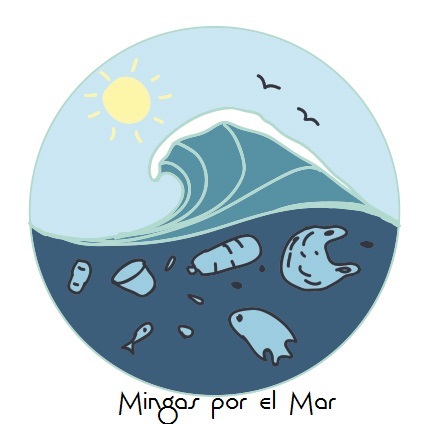 Mingas por el Mar is a project based in Ecuador and run by volunteers. Mingas is a word in quechua, which is the indigenous language in many countries in South America, and it means “collective work for the benefit of the community”. Mar is Spanish for the Sea. We started this project in May 2015 with the idea of spreading the message of caring for our oceans, motivating individuals to take responsibility about plastic pollution by changing every day behaviours and becoming more pro active by participating in beach clean-ups. Our main message is that we can all do something as individuals by changing our habits and making more conscious choices. We need to reduce our production of rubbish and refuse single use plastics. Organize and conduct regular beach clean ups along the coast of Ecuador. Guide and educate communities on how to organize beach clean ups and provide sacks and rubbish bins in their communities. Help communities start their own independent groups. So far we have 4 active groups working in Ecuador: Guayaquil, Puerto Lopez, Salinas and Manta. Create murals in coastal towns using plastics found on our clean ups with the message of caring for our oceans. Via social media. We have a very active Facebook page and instagram page where we share very important information about the oceans and plastic pollution. We give talks in schools, universities and communities along Ecuador about ocean conservation. 2017. Mingas por el Mar placed 5th in the Oceans Category of this year’s http://www.premioslatinoamericaverde.com and # 242 between 500 of the best environmental projects in Latin America.